Since 1969, Ritu Kumar has effortlessly seamed together traditional Indian craftsmanship with contemporary couture. Starting off with barely four hand-block printers in a small village in Kolkata, the veteran designer today retails from over 27 stores across the country. 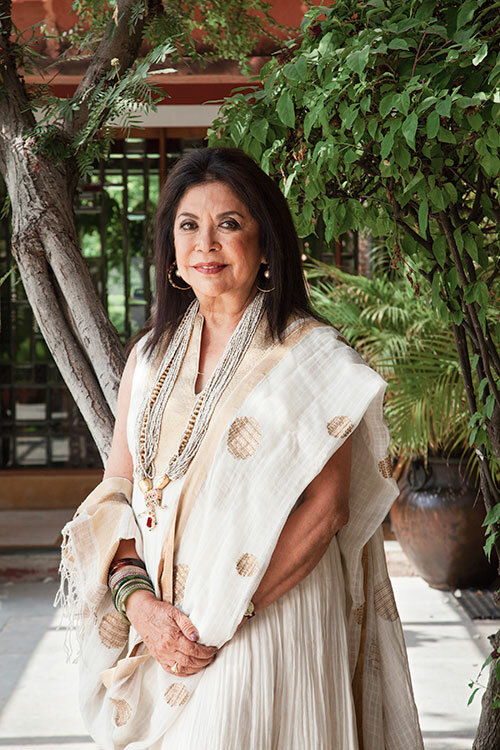 Besides her significant contribution to the fashion circle, she has supported indigenous crafts, revived age-old traditions and generated employment for numerous artisans. She launched her own sub-brand titled ‘LABEL’ in 2002. Her work has garnered a loyal Bollywood fan following that includes Aishwarya Rai Bachchan, Priyanka Chopra and Rekha, among others, and she has created ensembles for the late Princess Diana, Mischa Barton and Anoushka Shankar. Her unfailing passion has not gone unnoticed, and she is the proud recipient of the Indira Gandhi Priyadarshini Award, the Padma Shri award in 2013, and the Chevalier des Arts et des Lettres by the French government.